Start by logging on to your customer zone via MissHosting according to the picture below. You can reach the Log In via the menu at the right. Once you have logged in with your e-mail address and password, click at the top of the menu on "Domains" and "My Domains". 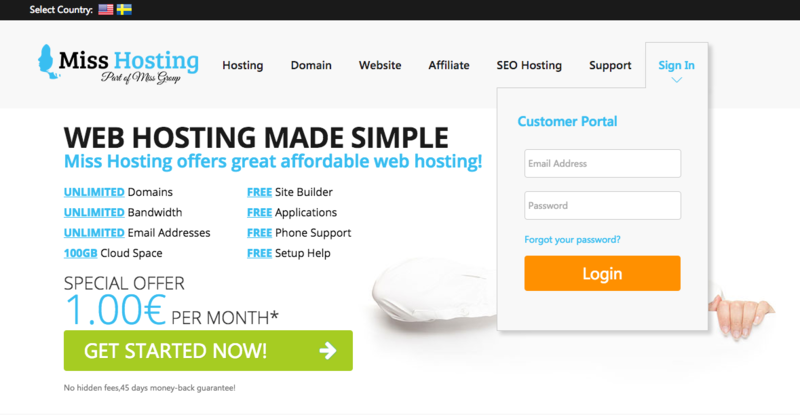 On this page you will see a summary of your domains, just move your cursor to the far right of the domain you wish to obtain the EPP code, and click on the arrow to the right of the button. Here, click on the "get EPP code". 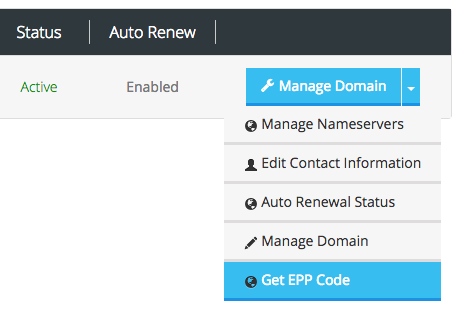 You will now be sent to the page where you see your EPP-code, this is used to move your domain.